You are getting a lot of information in this thread. It can be overwhelming. 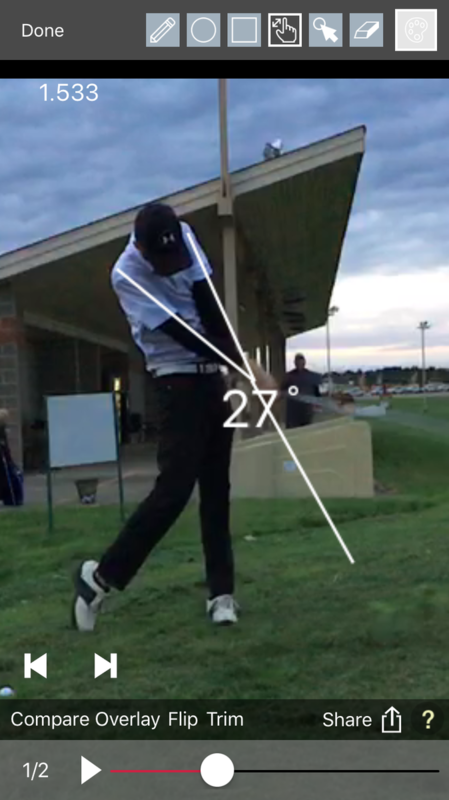 I would seriously listen to @iacas and recommend either getting on-line video lessons via Evolvr, or if you can, go to Erie and visit Golf Evolution. Many of us on The Sand Trap use Evolvr with great success. If I was in Pittsburgh, I would make the trek to Erie for at least the start. Erik is an outstanding teacher. 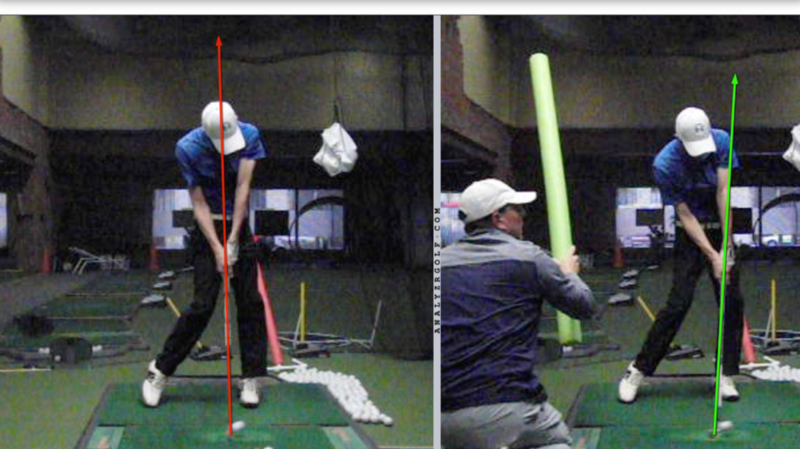 The best way to improve is to work with a qualified instructor who identifies your priority piece for improving. It may take a while to get it down. Then when you've changed that, move onto the next item. 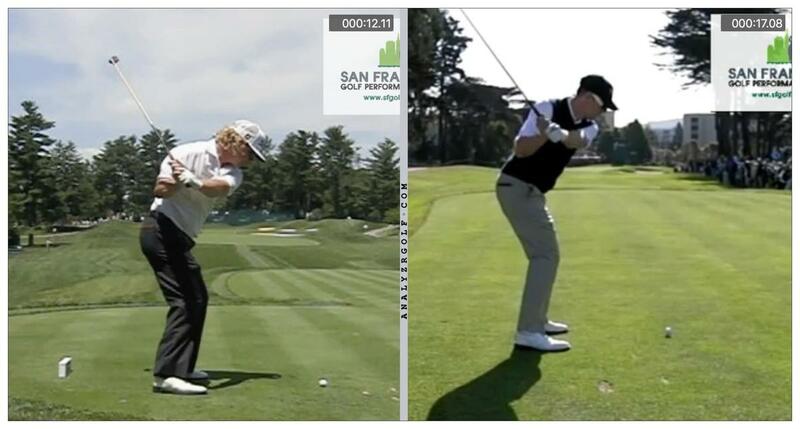 Reacting to a bunch of random advice or reading/viewing golf tips can only delay improvement. We've all gone down that path. It will just frustrate you. Some posters mean well, but they do not have the experience to identify what you need to work on and how to get there. If you are really committed to improving, take this advice. You are trying to hit a ball and your right arm is firing to soon and wanting to take over for power but you don't need to do that. Again, @RST Rebuild, though we know you're trying to help, you're just getting far too much stuff wrong. Please stop. You're not an instructor, and you should be here to learn and discuss, not to dole out advice to someone who needs to give you a shot a side for a fair match. Slim has a good plan in place, IMO, and doesn't need confusing, incorrect information. There are essentially two ways to get on the plane you want to get on, @Slim_Pivot, and we'll cover this much more in depth on Saturday. This is a tougher thing to do. 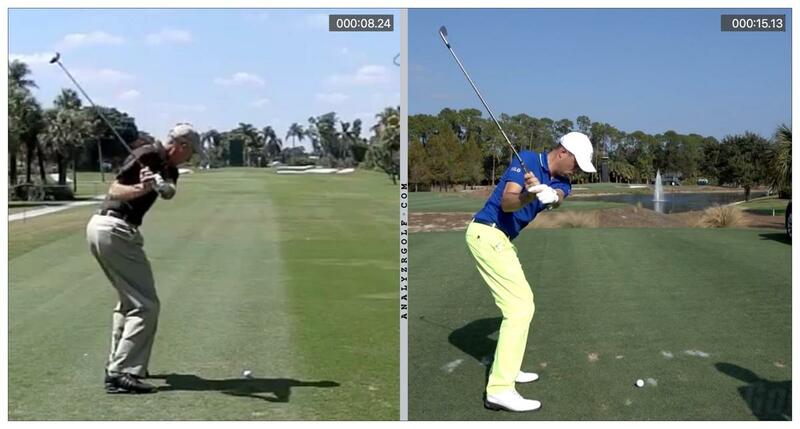 Jim Furyk does it here and Justin Thomas does it on the right. The sweet spot is moving counter-clockwise from the DL view. Again, this is tougher, but can still work. 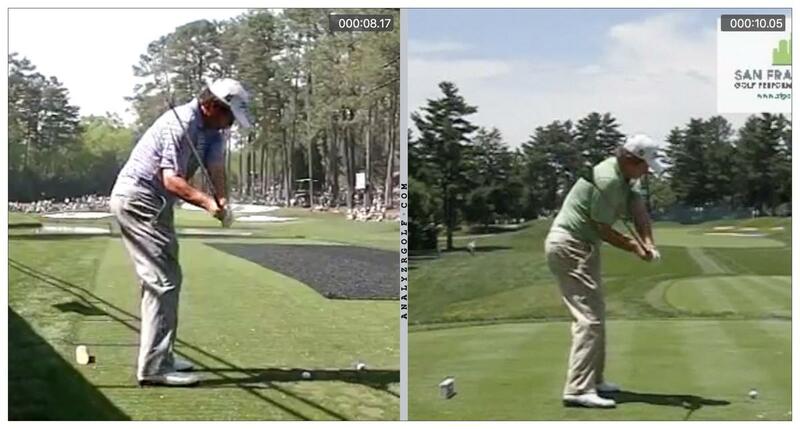 That's Jason Dufner (older ones, he's a bit lower plane now), but there are others. It's not as common, but it exists. Nicklaus was above that plane for most shots and most of his career. 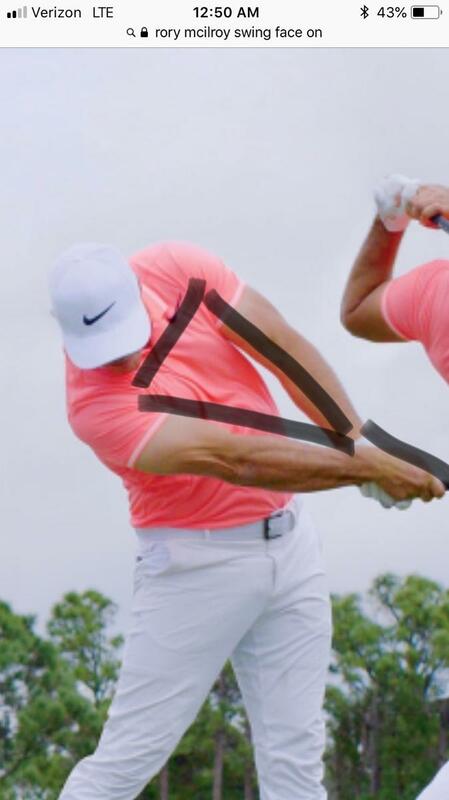 Can anyone chime in and talk about the position that Slim_Pivot is trying to replicate with the club parallel to the right forearm coming down? Is the high camera angle giving the illusion that that's where it actually is or is it higher up and maybe more like Duff? Now this post is about the 6i FO latest swing by Slim_Pivot. I was just commenting on the release and shorter takeaway. 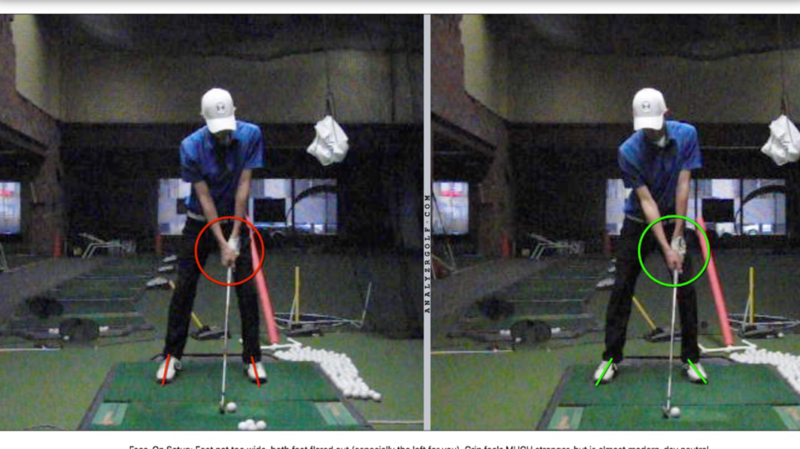 Looks like Slim_Pivot just passively let's the club go (turned it over) and busted one. 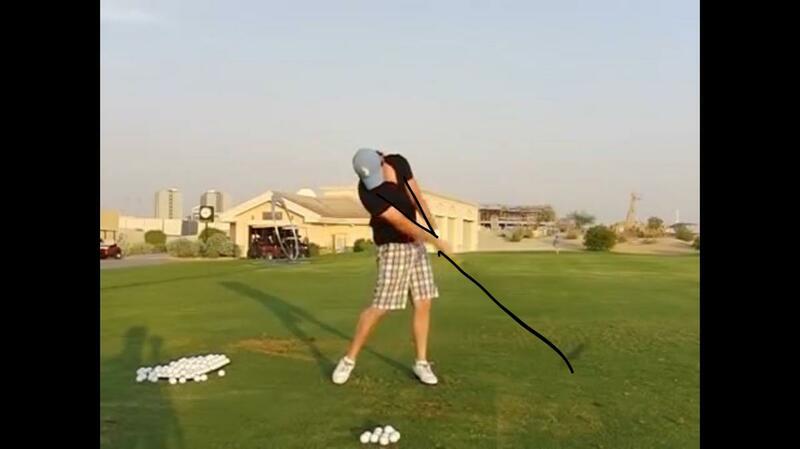 Can you show some tour swings FO for me post impact, with the arm parallel to the ground and club head in view, to examine please? You have an amazing library of stills. I want to see if the palm of the left hand (for a righty) is facing the camera on these snap shots. If it is, I just can't understand how it did not turn over via forearm rotation without spinning out the hips to an extreme position. I just want to see it to believe it. Trying to learn here and understand. I tried to draw a triangle so you can see the connection. The guy in shorts is Rory. Forgive my artwork. But that should help you. 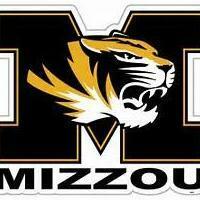 Remember, this is my page where I should be the one asking most of the questions. I just joined up but I thought that this was Slim_Pivots thread and he posted first, and anyone can chime in. I don't understand what you're trying to tell me. It's your "page" or your website? No disrespect intended here bud. Let me know the process and will adjust. It's his Member Swing topic, and he doesn't want you posting on it anymore. There are other topics in which you can ask your questions, do your learning, debating, and discussing… not here. 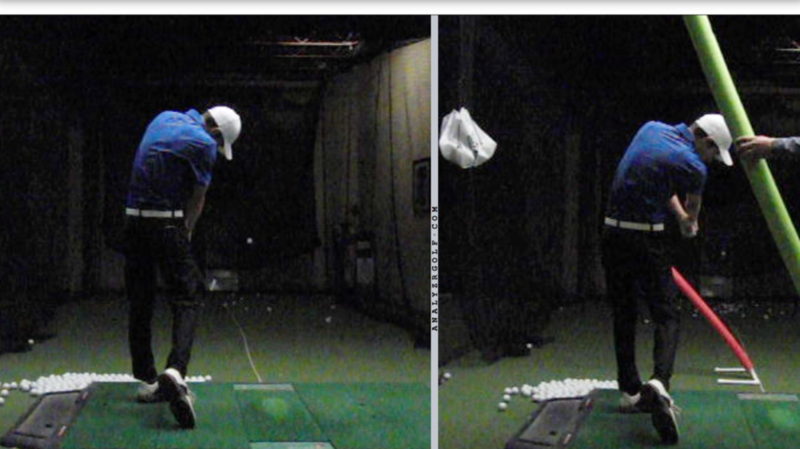 The title of this topic is "My Swing (Slim_Pivot)". 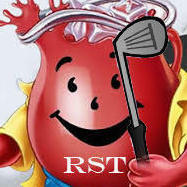 You're welcome to start your own Member Swing topic. We encourage people to help, but you're not doing that. There are other topics in which you can ask your questions, do your learning, debating, and discussing… not here. 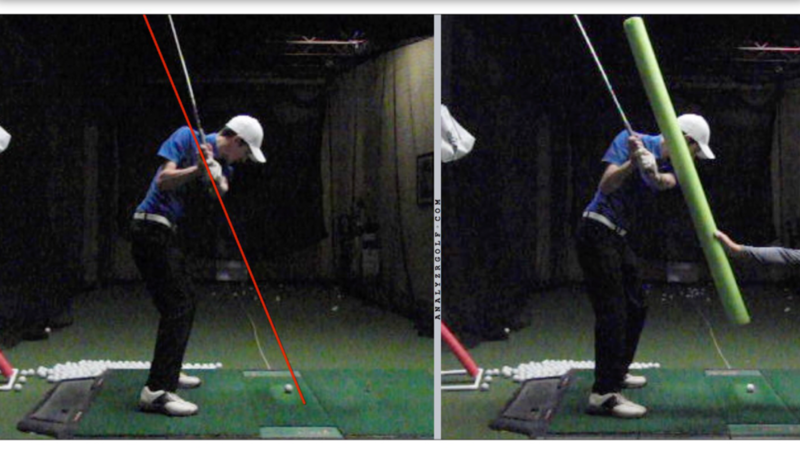 The title of this topic is "My Swing (Slim_Pivot)". @RST Rebuild This is the issue. 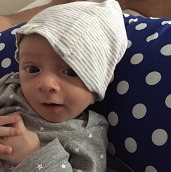 There are swing philosophy debates going on and other long arguments. Feel free to tag me or any post and/or swing I make into your “my swing section” and we can discuss it there. But you can’t be the star of my page lol. Ex. I saw an old post mike had where he worked on a more closed/square takeaway...and I was curious. I tagged him in a post on my page. Then he was nice enough to reply and even expand upon my question. But I was conscience not to overwhelm his page with my questions. We all want to learn and discuss. So keep tagging me in things, and I’ll answer and discuss. That’s why this website is so much fun. When you get a chance to see the video, that's shows off the differences in a pretty clear way. Just remember: if you push for now, that's fine. Resist the instinct to swing left to fix the push. That's a piece I didn't want to give you yet; it'd be too much right now. 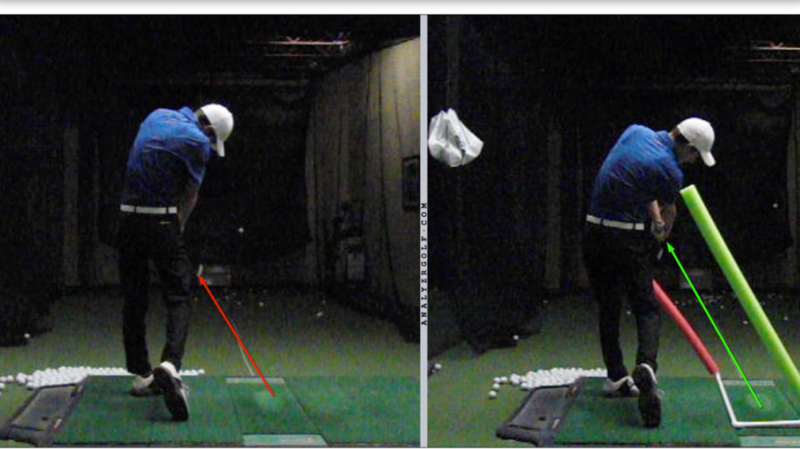 narrower stance, left foot must flare more, bend more at waist. stronger grip, left and right hand. 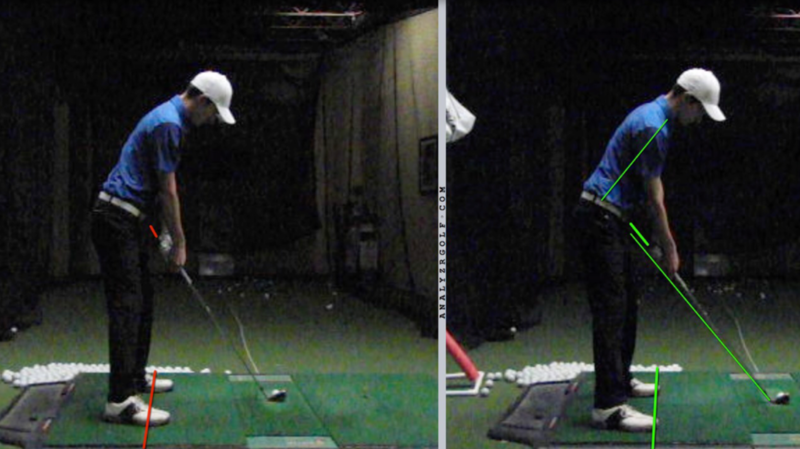 Setup forces backswing to be more flat...not a focus, just a note. 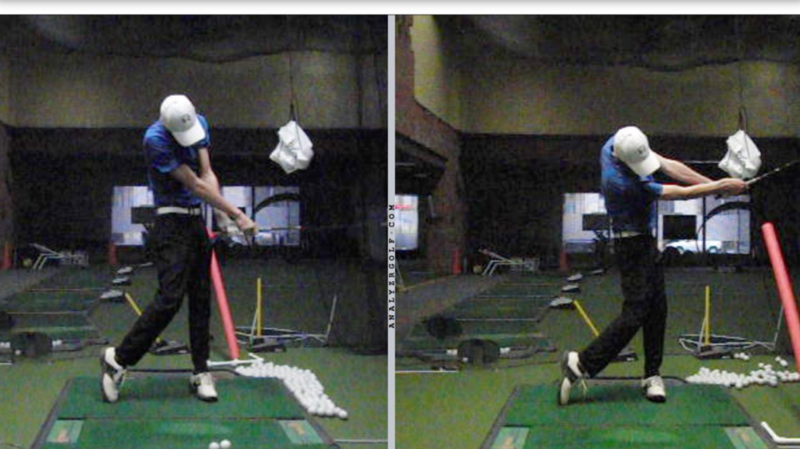 None of the after swings have a full backswing. Swings were 75%. 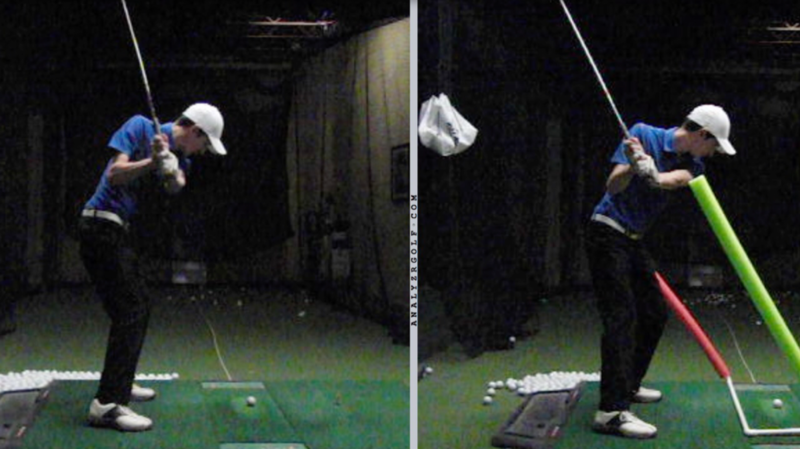 The main drill was to swing out to the right, hands and club But in a connected fashion where the clubhead did not EVER flip. 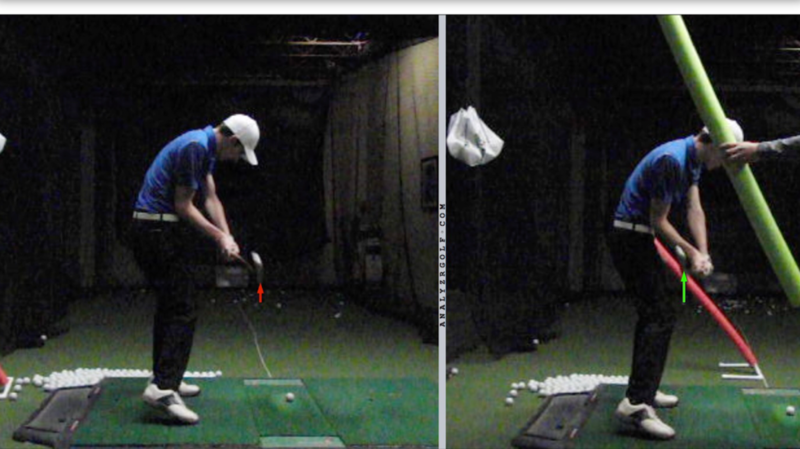 Follow through stopped at chest height. 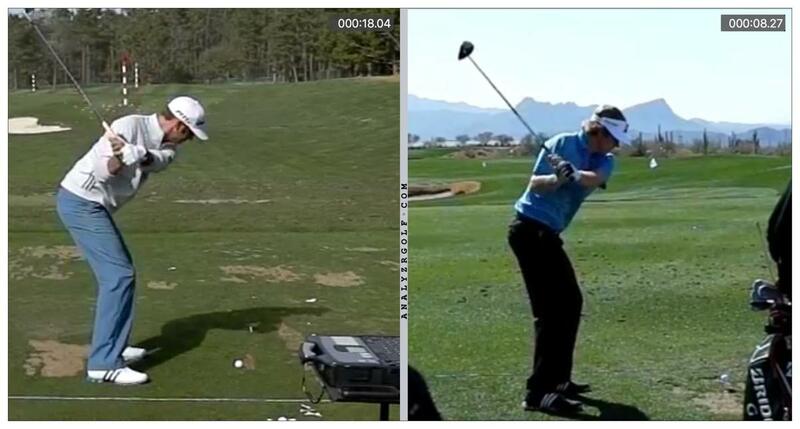 I was shown, that it should be done with a hard swing and the swing stops with the body. Arms and hands don’t put on the brakes. (My feel) In order for me to do this at speed, my hips had to bump which seems to allow my arms to connect to my trunk in transition. To echo what @nevets88 said, keep filming your practice to make sure you are doing it the same way. Also, if you have a mirror, 5 minutes of mirror work can help a lot. It looks really good. Hey! Your changes look amazing. 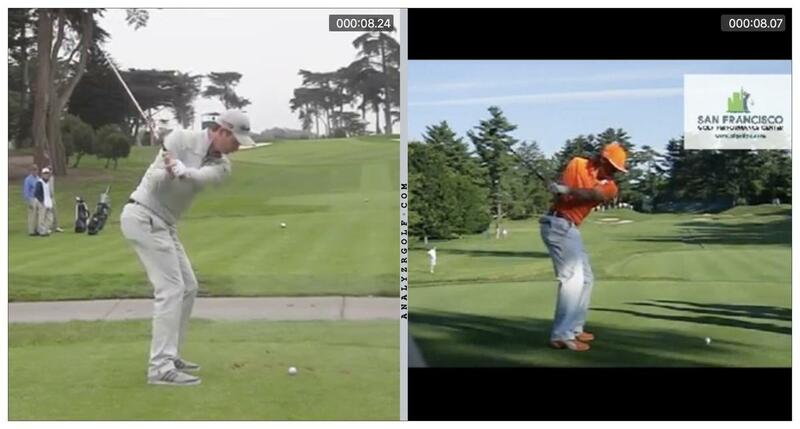 Just wondering in the first pic right, that ball position, isnt that like Driver ball position? Is it also recommended for irons? It's a little bit further forward than I typically see. But… I'd generally prefer a ball that's slightly too far forward than one that's slightly too far back.